The Kathoey, or lady boys of Thailand, go to great lengths to appear to be something they’re not. Likewise, today’s Nice Price or Crack Pipe Miata wears a disguise, and it also has a stick! But does its price need a disguise too? According to fable maker Aesop, familiarity breeds contempt, and while you may find today’s odd bodkin of a 1990 Miata/Z3 mashup contemptible, it is not unreasonable to lay blame for its existence on the ubiquity of its popular Mazda base. It’s that overfamiliarity and commonality that drives many to re-clothe the MX5 in what they perceive to be fancier duds. There are plenty of Ferrari wannabes, freaky deaky ones in Caddy camo, and a whole passel that are dressed up to look like BMW’s lumpy two-seater, as is the case with today’s car. 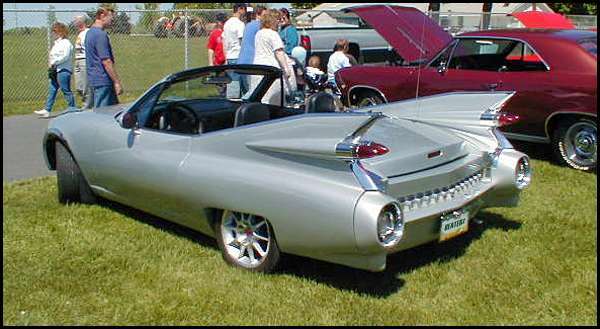 So then the question of this car isn’t could you, but why? Oh sure, there’s a great deal more equity built into the BMW badge than that of Mazda, even though here in the US both companies have been seriously pushing their metal for about the same amount of time. Still, I guess that having to name your volume model the Great Little Car rather than engineering one that needs no such sobriquet speaks volumes about how those years were spent. That however doesn’t explain fully why someone would want to take a car known for being as flingable as a booger and make it look like one with a reputation for shaking like a dog shitting a peach pit over any road that is less than mirror smooth. Maybe they thought that the panache inherent in the Roundel and twin kidneys mated with the well-handling architecture of the backbone framed Japanese car would result in something greater than the sum of its parts. And to ensure that outcome, they also tossed the sweet rev-loving DOHC Mazda mill for a pushrod Gen III V6 from the house of the General. Now that cracker of an engine may just warrant their appending on this particular car, but when I think classic German styling and Autobahn flying, the first thing that pops into mind isn’t hood scoops and side pipes. Those however are the final pieces of the incongruous puzzle that is this weird little car. Mechanically, things are a little more straight forward. That scoop feeds a Holley carb that sits atop the bored and stroked V6, while power is sent back to an RX7-sourced LSD pumpkin through a 5-speed that has been yanked from a Camaro. Nicely, the ad claims that everything - gauges and whatnot - all work, which is an admirable achievement after this kind of heart transplant. The car also pretty much looks the part, from the front at least. Out back it kind of falls to pieces, showing off the Miata’s flat flanks rather than the sensuous curves of the Z3’s haunches. Also, the lack of any sort of badging back there is a little odd, but at least it’ll keep the Po-Po guessing. The overall build quality, including a glass backlight in the convertible top does look impressive however. Look, I know this is not the car for you. Or you, or you. Or. . .well, you might very well just rock this, so I’m keeping an eye on you, weirdo. The question though is not would you buy this, but should someone in the market for such a beast drop the $16,450 for which it is being offered? And that’s your task for today- is this Florida-located (of course it’s Florida, need you even ask?) 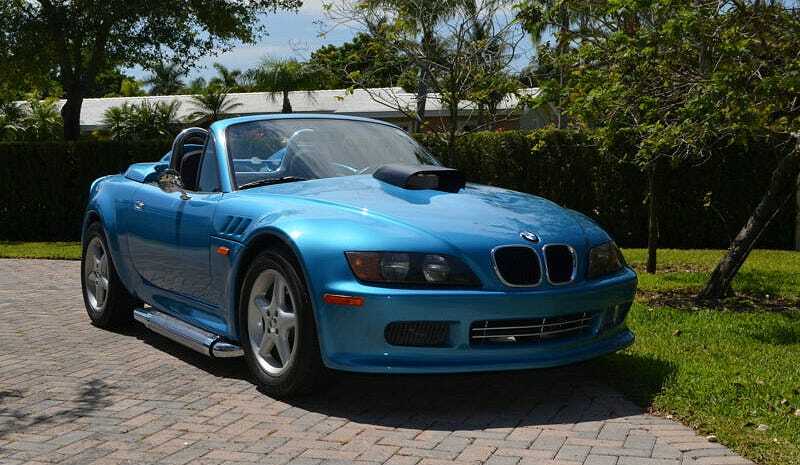 Miata/Z3/3.1 mashup worth that $16,450? Or, does that price mean this should not be anyone’s choice no matter what it is they are seeking? eBay out of Florida, or go here if the ad disappears. H/T to Good Guy Greg for the hookup!